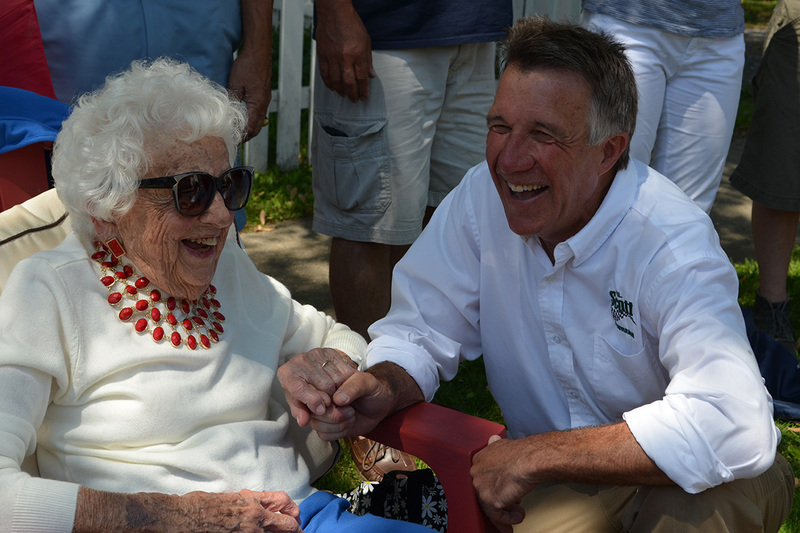 Phil Scott is a father, husband, son, brother, small-business owner, racecar driver, public servant, and a leader who genuinely listens. Phil’s parents, Marian and Howard, raised their three sons in Barre until Mr. Scott died when Phil was 11 from injuries sustained in the D-Day invasion. Overnight, Marion became a single mother to three energetic young boys, and she is Phil’s role model to this day.“Growing up, I didn’t have a political bone in my body,” Phil often says. A self-described “hands-on learner,” Phil spent his mornings at Spaulding High School taking college prep courses and his afternoons taking vocational tech classes. He went on to the University of Vermont, where he studied to be a Technical Education teacher. But, after a year of student teaching he concluded business was in his blood. Phil started his first business – a boat rental and lawn mowing service on Lake Elmore – at the age of 18. A few years later, he opened a motorcycle shop that eventually outgrew the small garage it was in. 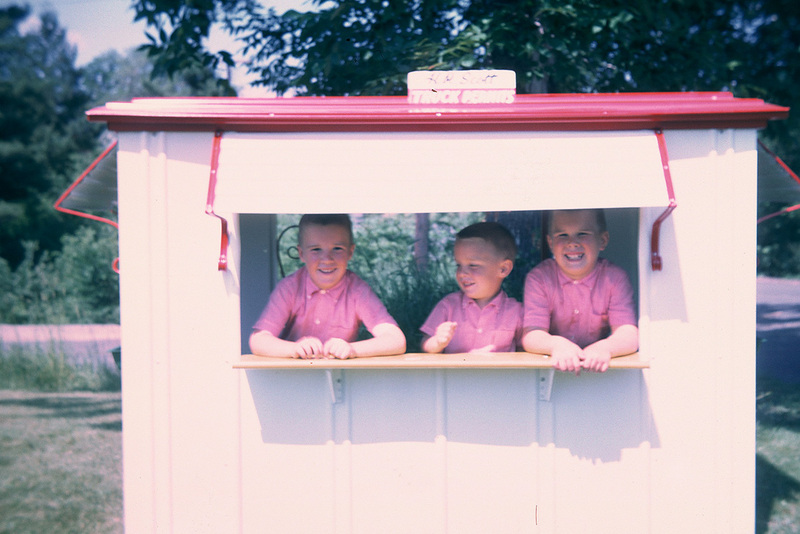 Phil rolled up his sleeves and, at the age of 23, started construction of a new, bigger shop. When the shop was nearly complete, despite having earned all local permits he was told were required, the state said he needed an Act 250 permit. 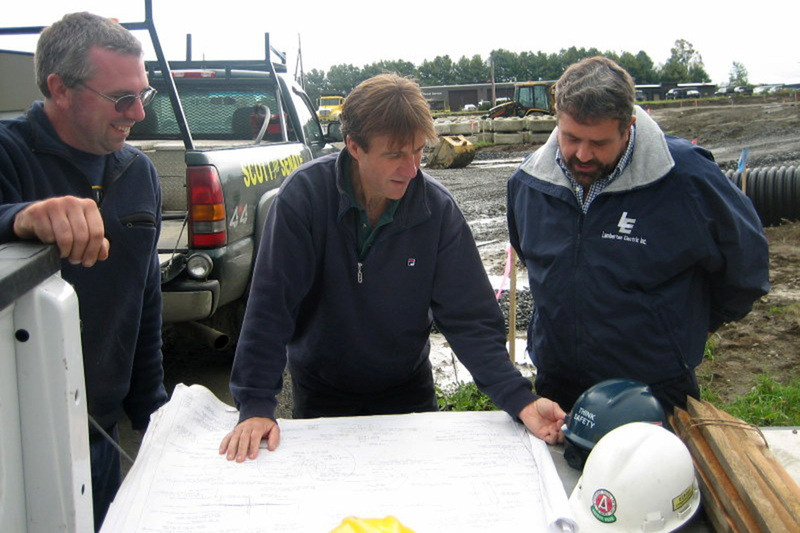 The cost of the delay and expenses of the Act 250 permit process scuttled the project and Phil had to go to work for a local construction company to make ends meet.Not long after that experience Phil went to work for Dubois Construction, an excavation company in Middlesex owned by his uncle. He worked his way up from day laborer to foreman, eventually buying the company with his cousin, Don, through consistent weekly payments. Phil’s experience as a young entrepreneur and as a co-owner at Dubois taught him how many challenges employers face as a result of legislation. So, to bring the voice of local small businesses and working families to Montpelier, he ran for the Vermont Senate in 2000, and was elected for five consecutive terms. During his 10-year service in the Senate, he built a reputation for working across the aisle and, as a result of his project management, construction industry experience, held leadership positions as Vice Chair of the Transportation Committee and Chair of the Institutions Committee.In 2005, Phil founded the Wheels for Warmth program, in which Vermonters donate tires to either be recycled or, if deemed safe, resold at affordable prices, with all proceeds (more than $309,000 to date) benefiting heating fuel assistance programs. 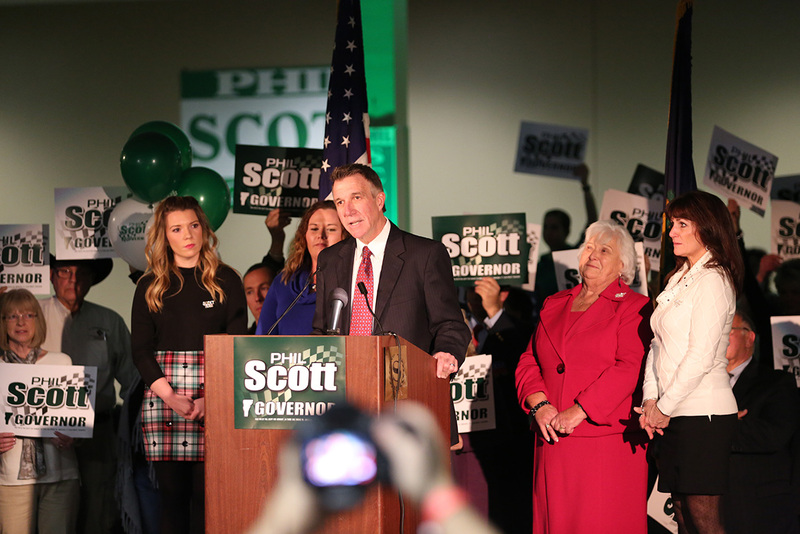 In 2010, with bipartisan encouragement, Phil was elected Vermont’s 79th Lieutenant Governor. As Lt. Governor he launched the Everyday Jobs Initiative, and Vermont Economy Pitch sessions to ensure he is learning from the employers Vermont’s economy relies on. In 2011, in the wake of Tropical Storm Irene, Phil organized the removal and disposal of mobile homes around the state, which were destroyed by the flood, all at no cost to homeowners and without spending any taxpayer dollars.Since 2011, he has worked in the shoes of 35 different professions around the state, from manufacturing floor technicians and beekeepers to emergency room workers and second grade teachers. 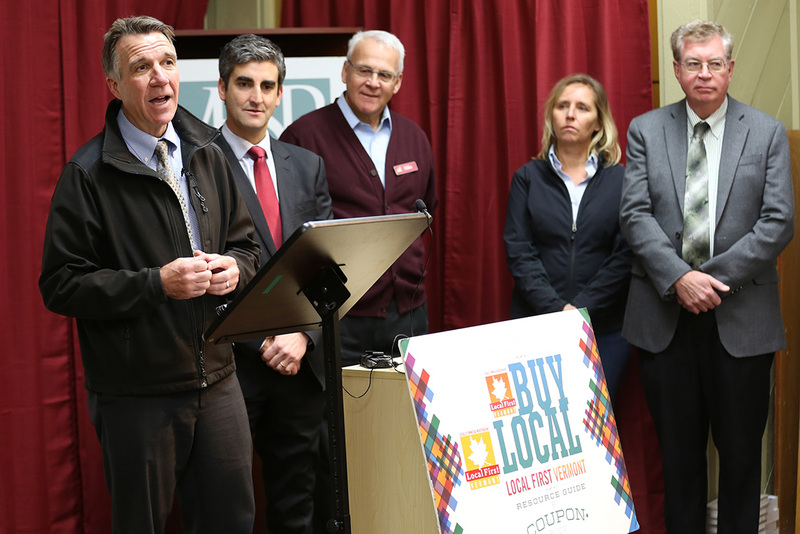 The Vermont Economy Pitch sessions, started in January 2015, provided businesspeople the platform to pitch ideas directly to legislators on how to improve Vermont’s business climate. Many ideas from those sessions were introduced into the 2015 legislative session, several of them passed into law. And here are a few more things you may not know: on Thursday night’s during the summer, Phil can usually be found at Barre’s Thunder Road where he has raced the #14 car since 1992. He has the most career wins as a Late Model driver at the track. He’s also an avid cyclist, logging more than 4,000 miles in the last year alone. Phil lives in Berlin with his wife Diana McTeague Scott and their two dogs, a spoiled golden retriever and a loving black lab. He has two grown daughters, Erica and Rachael.